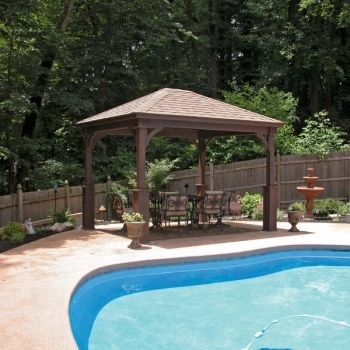 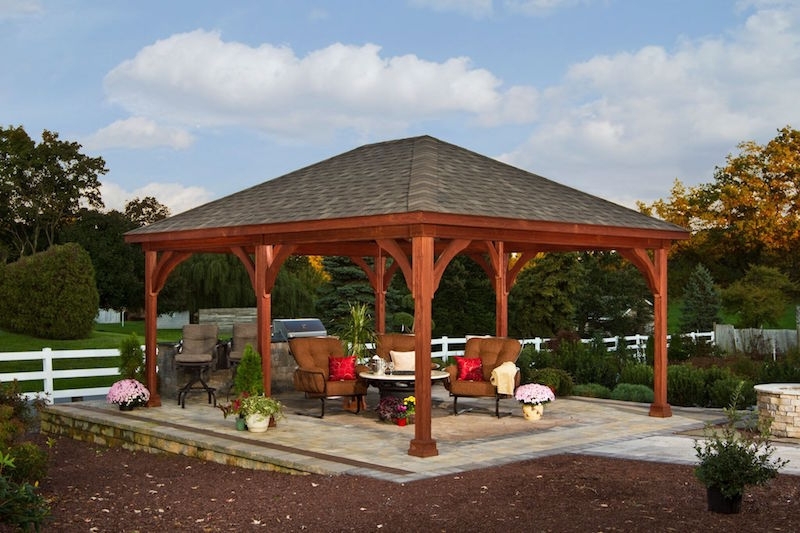 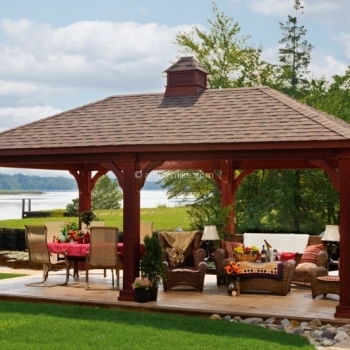 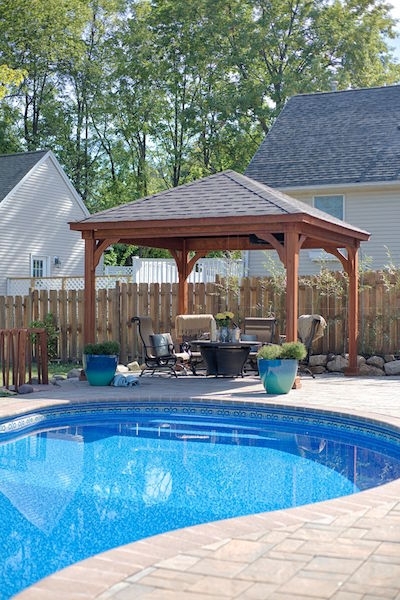 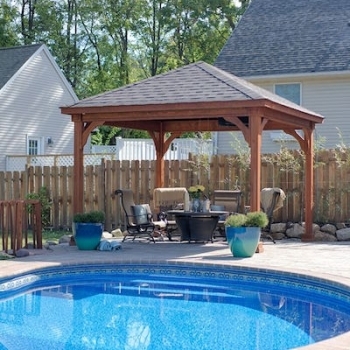 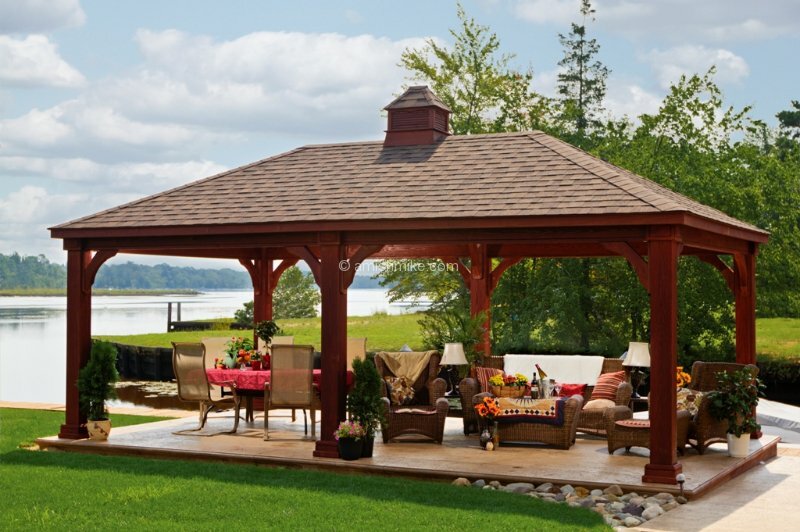 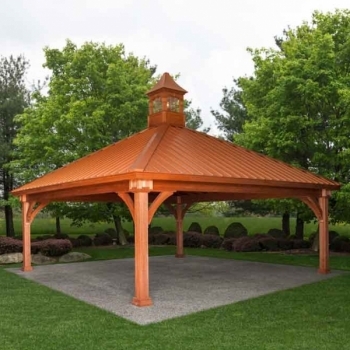 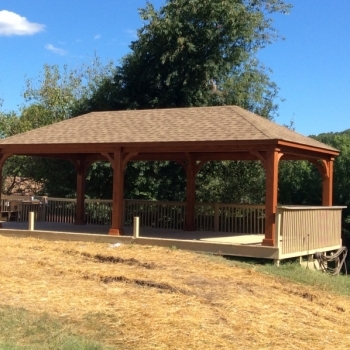 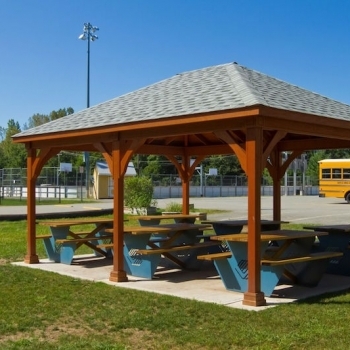 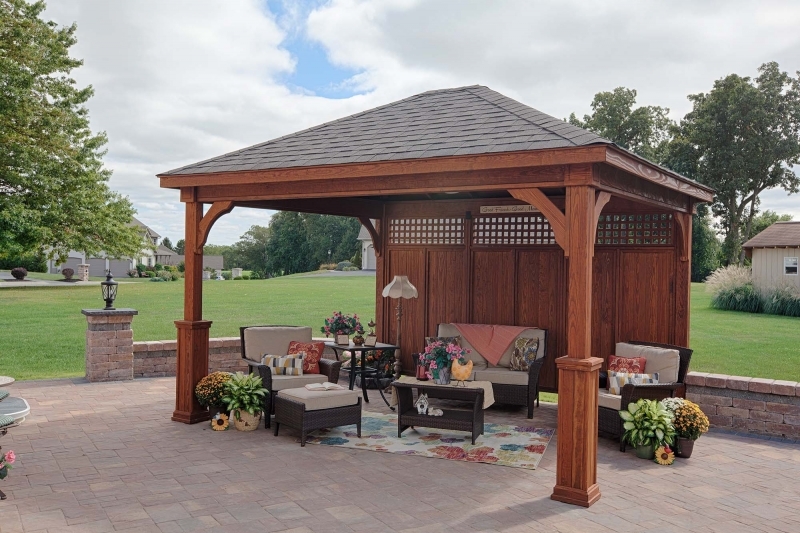 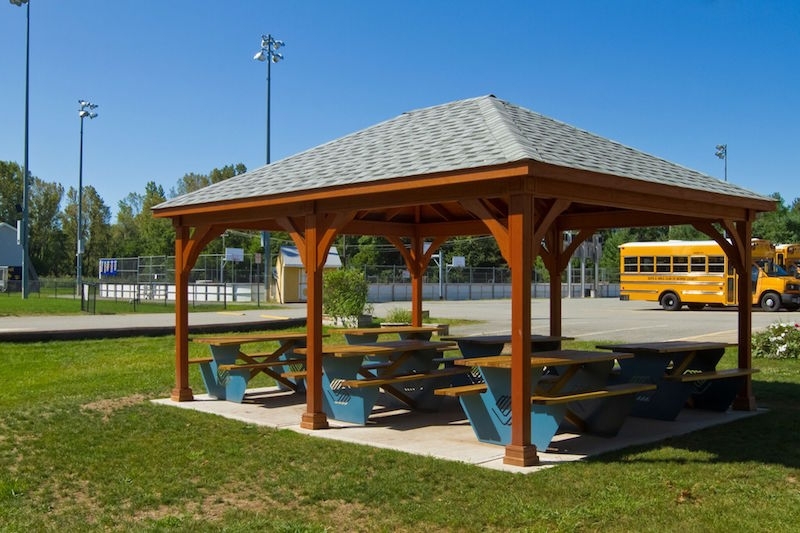 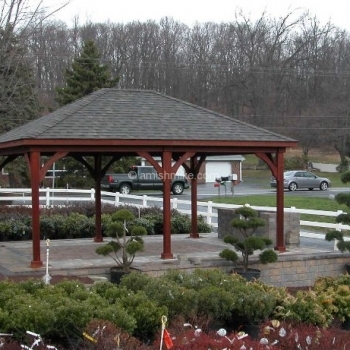 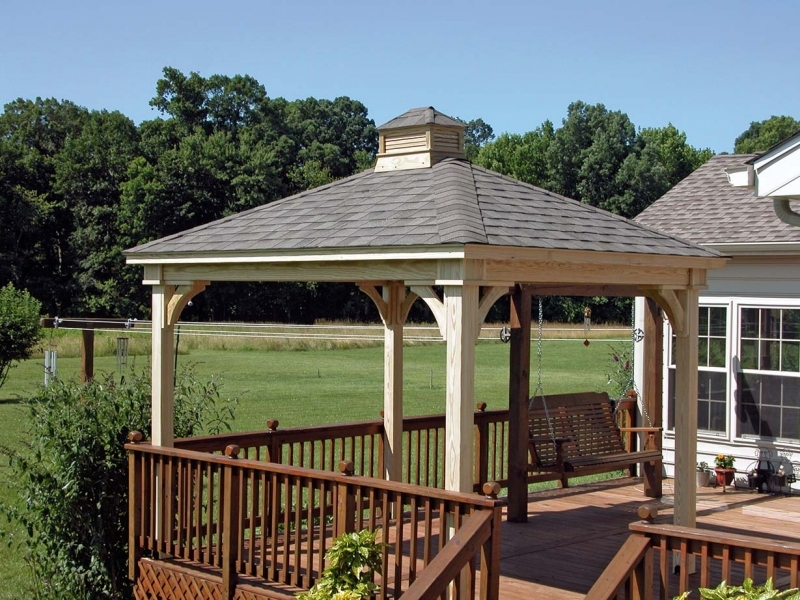 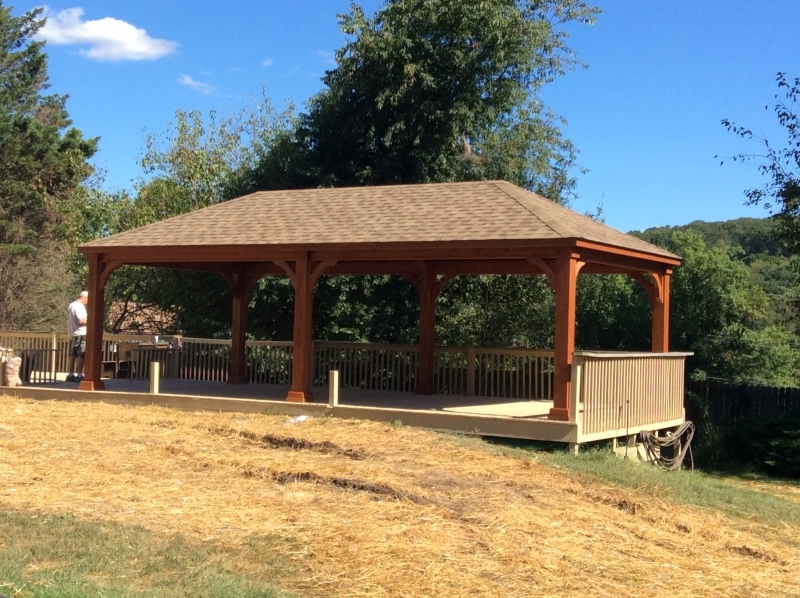 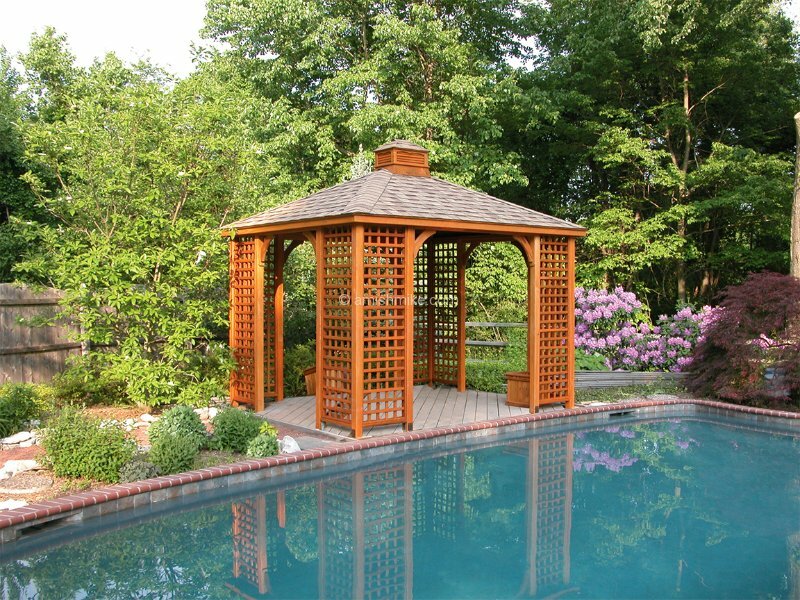 Our wood pavilions are made from #1 grade treated southern yellow pine. 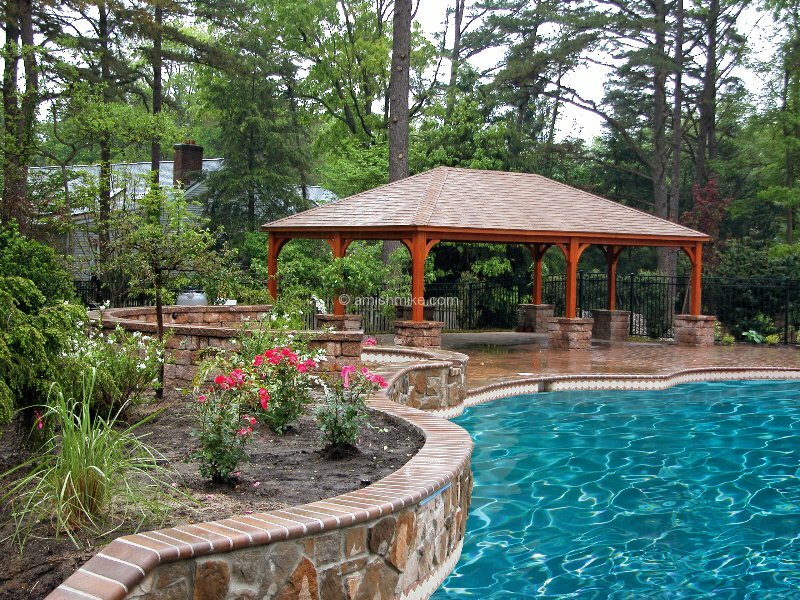 All the boards are hand-selected for the best possible appearance. 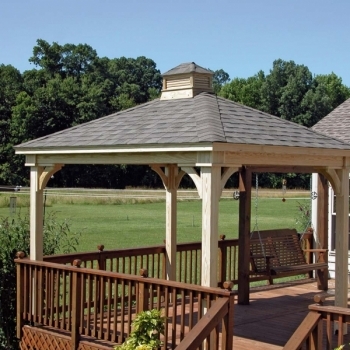 The wood is unfinished and ready for paint or stain, you can choose form one of our popular finishes. 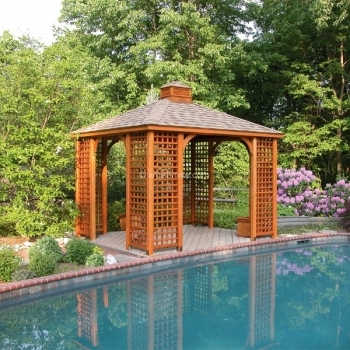 The 5 x 5 posts are laminated to resist warping and checking. 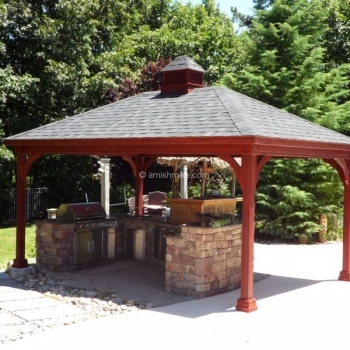 The post come with a powder coated bracket for attaching to your concrete, patio or deck and are covered with a post skirt for a finished look. 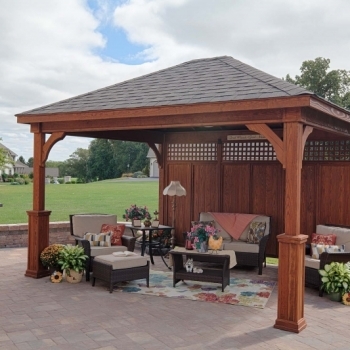 The 2 x 6 half moon braces add beauty and lateral strength to resist high winds. 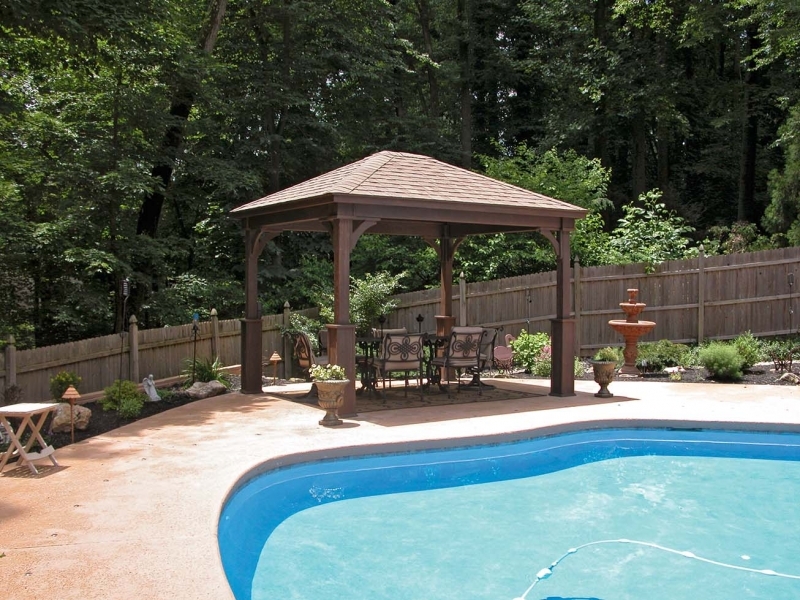 Our decorative trim covers all the connections for a clean appearance. 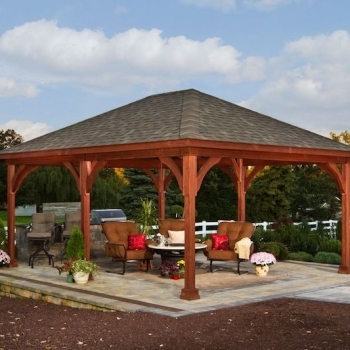 Engineered headers are built with a 3 ply 2 x 8’s to span up to 16′ long without sagging. 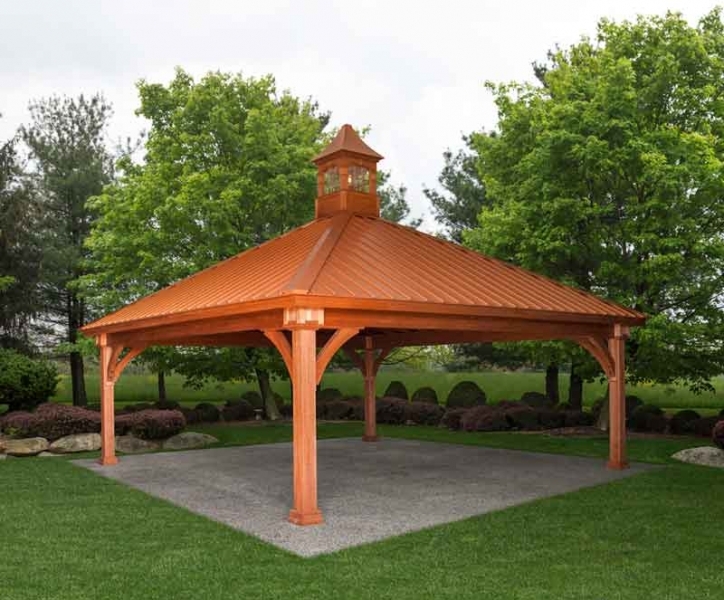 The roof is engineered with double main rafters for structural integrity. 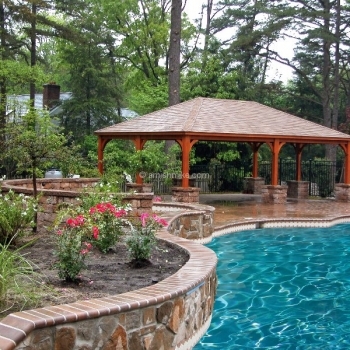 We use beautiful 1 x 6 tongue and groove boards for the ceiling, covered with architectural shingles. 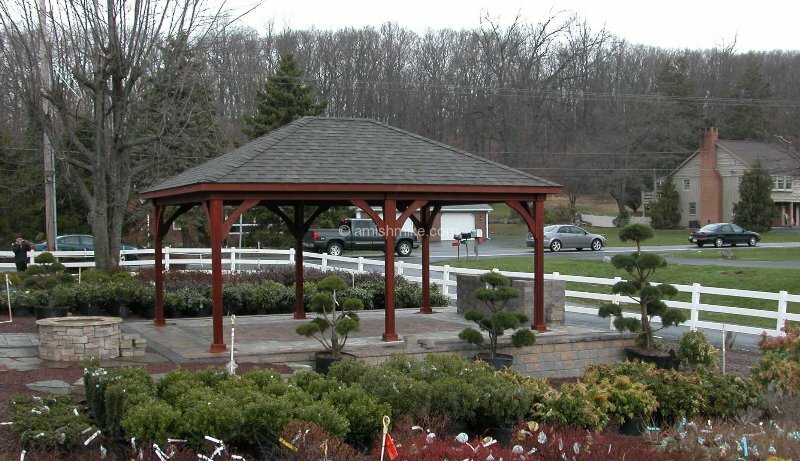 Our pavilions are engineered to withstand 140 mph winds and 45 pounds per square foot snow loads. 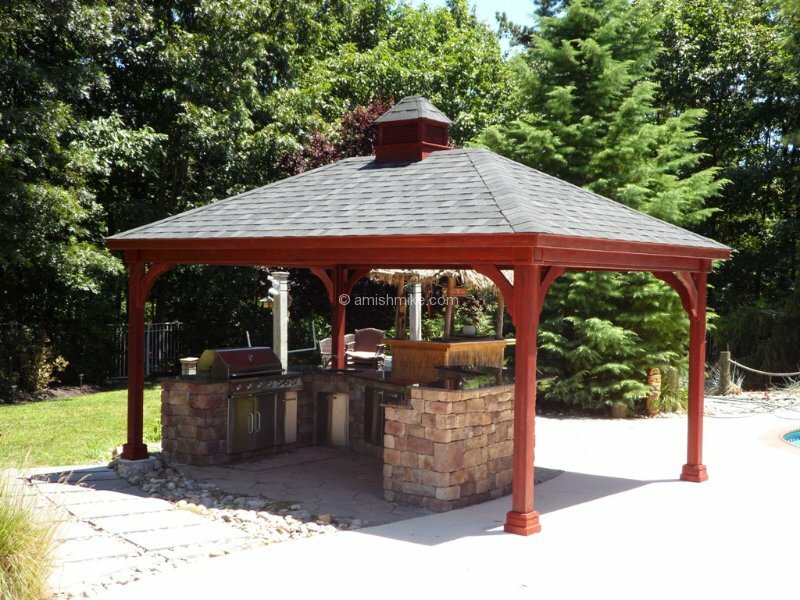 All this is standard on our wood pavilions for a strong and beautiful structure to give you the perfect oasis for outdoor entertaining!